M&S has become dependent on new store openings for growth in its food business. 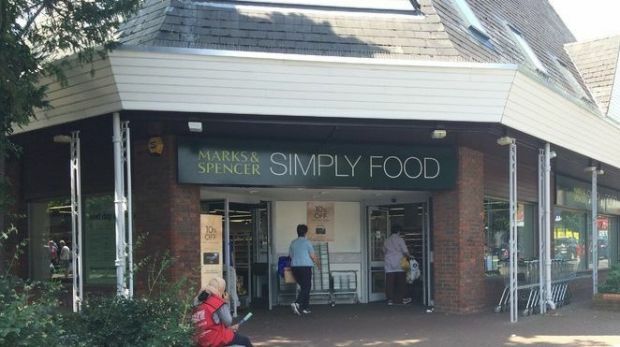 Marks and Spencer has announced that it will slow the roll out of its successful ‘Simply Food’ convenience grocery minimarket banner. The UK-based retailer now plans to open 80 stores by the end of its 2017/18 financial year, vs. the previous guidance of 90 stores – equating to a 5% rather than 7% increase in new space. M&S went on to say that “only the highest returning sites will qualify” due to stronger headwinds in grocery – including increased competition with the rapid growth of the convenience channel in the UK; the growth of online grocery; and pressure on consumers’ budgets putting pressure on spending. Overall H1 2017 results for the clothing/homeware/grocery retailer were positive, with total group sales up 2.6% vs H1 2016; and compared to full year growth of 0.6%. The long-struggling clothing division saw flat like-for-like sales, driven by a pull-back in promotions which saw full price sales increase by 5.3%. For many years now, M&S’ non-food sales have been the drag on performance. It is ironic that as the retailer’s clothing and home LFL sales finally stop declining, the pressure is now intensifying on the food side of the business, causing the retailer to announce a slowdown in its Simply Food store opening programme. That said, let’s not overdramatise the situation. The retailer has reduced its new space guidance by 10 stores – and still plans to open 80 in this financial year. That’s a lot more than many of its competitors, including Sainsbury’s and Waitrose. What is clear is that the UK convenience sector has never been more competitive, in particular when it comes to the ‘high yielding’ sites that M&S refers to. Of course, there are a finite number of these and a lot of interested parties – hence the reduced number of new stores; and even closure announcements, from M&S’ peers. But M&S, as shown in these latest results, has become dependent on new space to generate sales growth – with total food sales up +4.4%; whilst like-for-like sales were just -0.1%. This highlights the bigger issue and explains why Chief Executive Steve Rowe talks of a plan to ‘reposition’ its food business. He referenced the need to “make M&S special again”, which surely refers to food, where the retailer has always enjoyed a premium positioning. The challenge of course is balancing good value – which has cost M&S margin this year as it has limited the inflationary cost increases that it has passed onto its customers – with its super-premium and special image: a paradox that the retailer will really need to work to unpick.